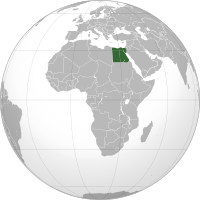 Also known in casual speech as Masr, this country is considered heir to the ancient kingdom of Kemet. Locals trade in pounds, but drive on the right side of the road. As a country, Misr ranks 127th in GDP per capita, but boasts the world's 10th-largest active military. Bizarrely, its independence in 1922 was declared not by the nation's own people, but by another country. One of the world's oldest forms of Christianity is headquartered here, where it was founded by Saint Mark in the 1st century. Which country is it? Click here for the answer! Kemet was Egypt's native name under the ancient Pharaohs, its last fully independent rulers until 1922, when colonial master Britain unilaterally declared it a sovereign state. Although a majority of Egyptians are Muslim, about 10% are Coptic Orthodox Christians. The kuna is legal tender in this land of a thousand islands, the biggest of which are Cres and Krk. The country's legislature is known as the Sabor, and is currently led by Speaker Josip Leko. Hrvatska has a strong military industry, and its troops are currently serving in Afghanistan and Kosovo. Fertility rates are among the world's lowest, and the country's population is shrinking. The second largest city is Split (that's its name), and on an alphabetical list of the world's national capitals, Hrvatska's is dead last. 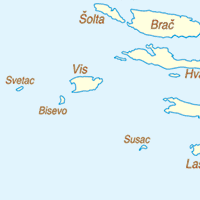 Though centered on the European mainland, Croatia's coastline is lined by nearly 50 inhabited islands, plus hundreds more that are unpopulated. The country's military contributes significantly to U.N. peacekeeping missions, and the national capital is Zagreb. 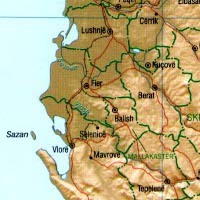 Bujar Nishani is the president of this republic, which is divided into 12 qark and 36 rreth. Fifty-eight percent of the country's labor force is engaged in agriculture, and its currency for trading is the lek. The majority language here is Shqip, and Islam is the largest religion, though by some estimates over 70% of the population are not even religious. The Lonely Planet travel guidebooks recommended Shqipëria as the No. 1 country to visit in 2011. I give up - where the heck is this? 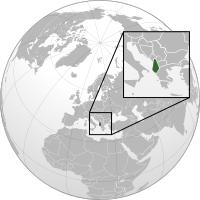 The Albanian language, also spoken in Kosovo, is very distinct from neighboring tongues. 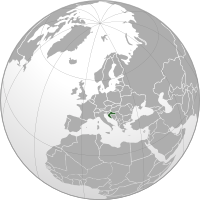 Islam became the dominant faith in Albania during its centuries of Ottoman rule, but the post-war communist regime banned all religion, declaring Albania the world's first "atheist" nation. This country is currently facing one of the world's deadliest ongoing communist insurgencies, and counts Surat, Pune, and Lucknow among its dozen most populous cities. The national anthem is Jana Gana Mana, but the "national song" is Vande Mataram. Field hockey is considered the national sport, though kho kho and gilli-danda are also popular. 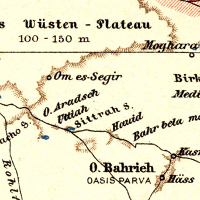 Bhārat hosts the world's third-largest Muslim population, and long ago was the site of one of history's oldest known civilizations. There are 13 cities of over two million people in India, and dozens more with over one million (I challenge you to name five). Meanwhile, a decades-old war simmers with the Maoist Naxalite rebels. 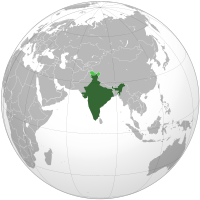 India's population exceeds 1.2 billion, of whom about 13% follow Islam. Although this country and its majority language share the same name, that name changes depending on where it is in your sentence: Suomi is her country, but She's going to Suomessa. 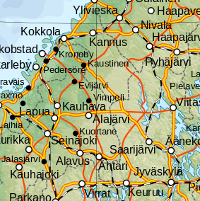 The five largest cities include Espoo, Turku, and Vantaa, and as of 2012 the president was Sauli Niinistö. 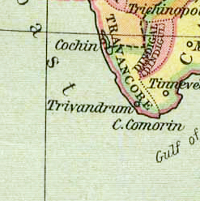 Water covers ten percent of Suomen's surface area (not counting the sea), and the remaining land has been occupied by its both of its major neighbors. Suomi is considered one of the three least corrupt countries in the world. The Finnish language, unrelated to most other European tongues, has over a dozen noun cases. 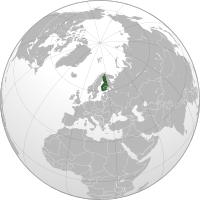 Finland is covered with thousands of lakes, and for centuries was controlled by the Swedish and Russian empires. The country ranks highly in various measures for quality of living . So, how many did you guess right? Tell us on Twitter or Facebook!